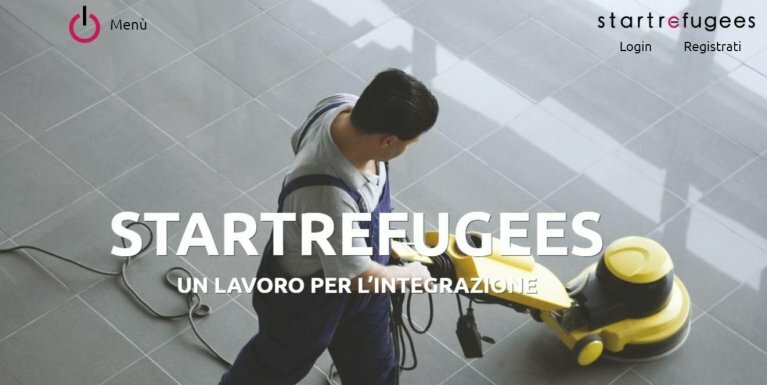 "Start Refugees" is a new Italian online platform aiming to match asylum seekers' and refugees' demands for work with the employment needs of companies and individuals. The idea behind "Start Refugees" is to meet the needs of asylum seekers and refugees in finding work and becoming financially independent — and thereby helping them to better establish themselves Italy. The project was conceived as a tool for job integration within the framework of the activities aiming to promote social innovation under the Italian interior ministry's 2016 "Good Reception Charter". The initiative "allows dialogue between demand and supply of temporary employment: individuals or companies on the one hand, social cooperatives and/or organisations involved in providing reception services for asylum seekers and refugees on the other". Migrants can upload their personal profiles which are then available to potential employers. The service operates on a paid basis for NGOs only, and the staff are available to help reception centres complete the profiles to be uploaded on the site, as well as to support future employers in the necessary bureaucratic procedures. The platform has a simple search function, although for now it is limited to the Liguria region. However, the creators say the service will be extended to other parts of Italy in due course. Reception centres "need only to register and interact with our staff to decide how many subscriptions or profiles to insert and purchase".